Posted by WorldbyStorm in British and Irish Communist Organisation (BICO), Irish Left Online Document Archive. Many thanks to the person who forwarded a photocopy of this, from Fortnight magazine, 1988 and of relevance to the post here and Archive documents on the British and Irish Communist Organisation (by the way, an interesting document in that vein will be posted in the next month or so). It’s just his funny little way. 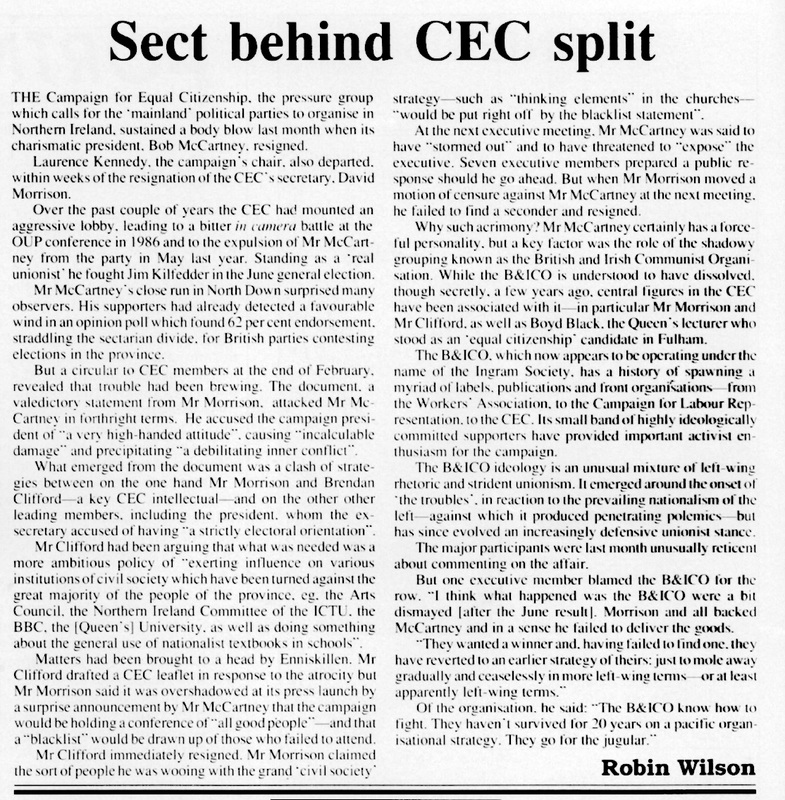 The Athols published the proceedings of at least one angry CEC meeting in A Belfast Magazine with large chunks of direct quotation. Does anyone have that issue? Also I’d be interested in reading Is Sinn Fein Socialist?, which I think came out as a CLR pamphlet around the late 80s. Curiously, it’s not for sale on the Athol website. If you want to read the above material go to the National Library in Dublin, or try the Linen Hall Library.